Henrietta Elizabeth Prather was born to Alec and Sarah Thorselius on April 24, 1919, in Oroville, California. 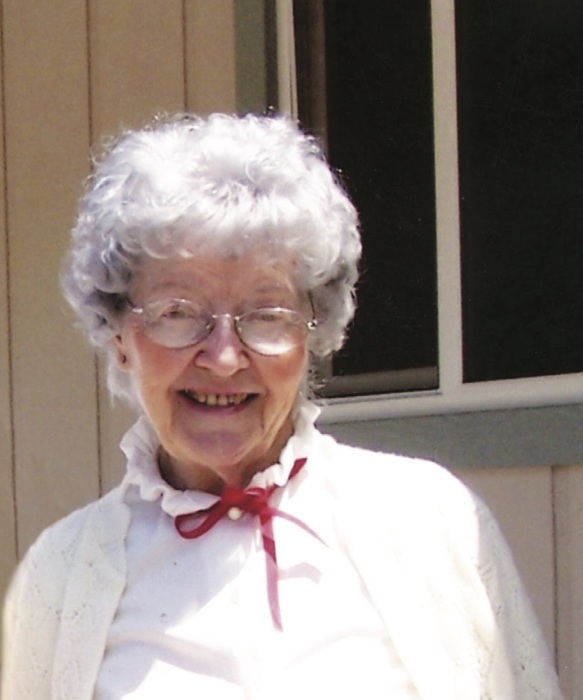 She lived in Lumpkin, California until starting school, then moved to Oroville, living on Bridge and Mitchell, attending East Side and Bird Street School, then going on to graduate from Oroville High School in 1938. Henrietta started beauty college shortly after graduating from high school. When she completed her training, she opened “Henrietta’s House of Beauty”, at 2248 Bridge Street, in Oroville, right next door to her parents’ home. After that came a 70 year long journey of owning and working in shops in San Francisco, Suisun, Fairfield, and back to Oroville. While working, she was introduced to a client’s son, Elmer DuWain. After dating off and on for eight years they married in 1952 in Carson City, Nevada. When not working, she enjoyed sewing, embroidery, crocheting, baking, and flower gardening. Henrietta completed her journey January 5th, 2019, 109 days shy of 100! She is predeceased by her parents; husband, Elmer DuWain; and son, DuWain; and survived by her daughter, Janese; son, Bob and daughter-in-law, Joanmei; and grandchildren, Michael, Bobby, Ronny, and Cherish. grandchildren, Michael, Bobby, Ronny, and Cherish. She will be greatly missed by all who loved her.